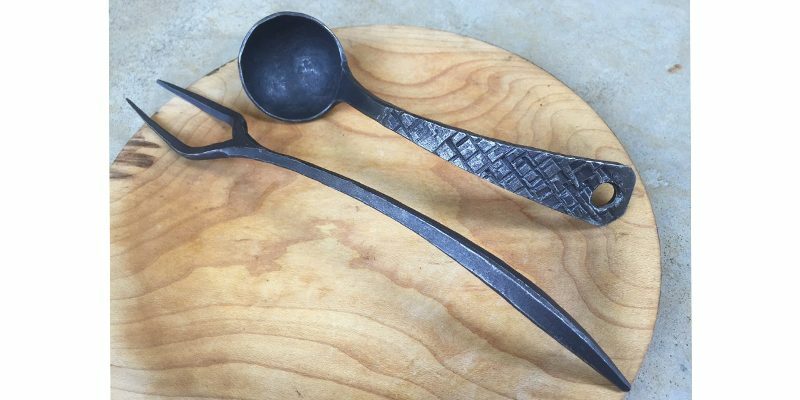 Learn fundamental forging processes to make spoons, forks, spatulas, and other utensils. 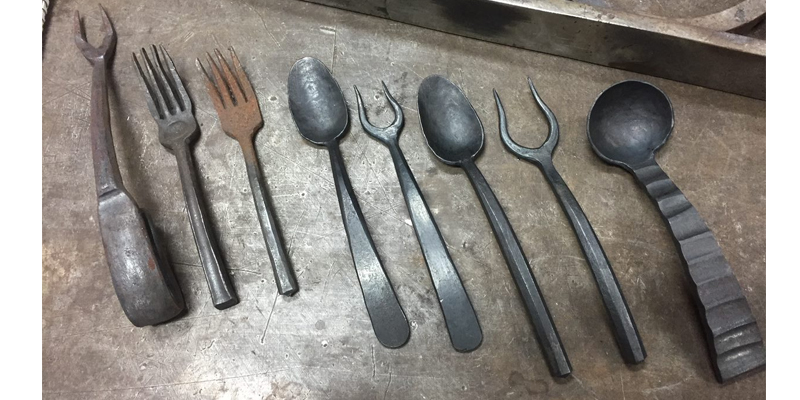 Tapering, shouldering, spreading, upsetting, slitting, bending, and riveting are among the skills you will apply to individual interpretations of everyday objects for eating and cooking. Also, heat-treatment to make a chisel to split your fork tines. Bring your favorite utensils for inspiration! Warning: We will have FUN!! 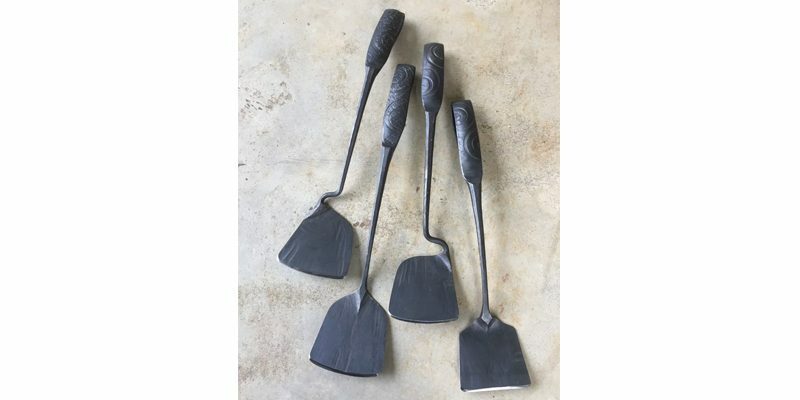 Abraham (Sparta, TN) has been forging functional and art objects since 2006. 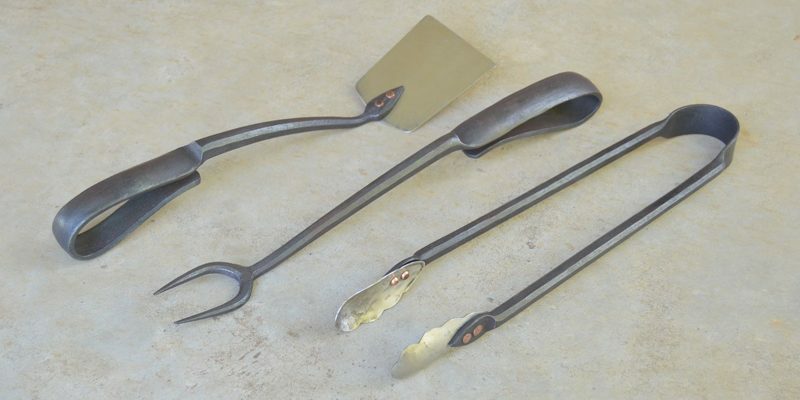 He holds a BFA in Metals from the Appalachian Center for Craft where he has taught various workshops. He has exhibited his work throughout the country and has been running Pardee Metal LLC, full-time since 2016.